The perfect case for your new iPad™. 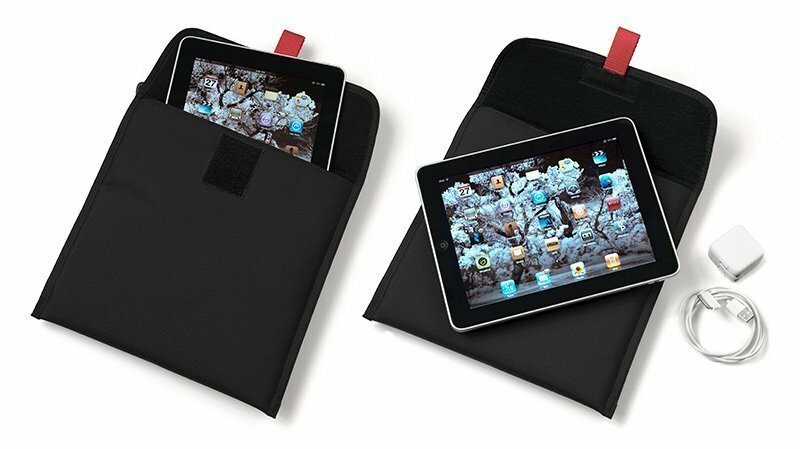 It will fit either vertically or horizontally and has a nice soft fleece lining to keep the screen free of scratches. The USB cord and AC adapter slide right into the bottom of the case with plenty of room left for the iPad. The item is a GS 6002 flat stash pouch and costs $29.95. The cases are in stock and if you call Lightware Inc. at 800-455-6556 they can zip one right out to you today. They will also be on lightwaredirect.com very soon.